It started out simple. 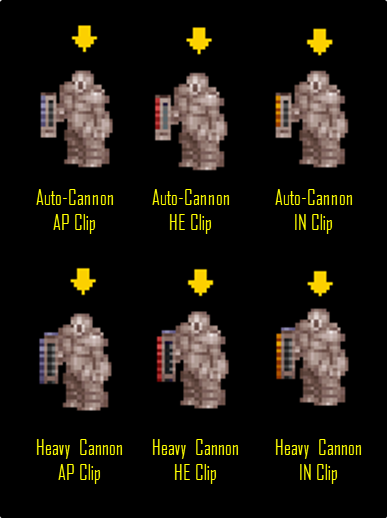 Frustrated with the silliness of a grenade representing tons of items in the game, I created a Medikit Handob mod, to portray the Medikit in the hand. The HE Pack followed, and then the Motion Scanner. Why stop there? Ok. All vanilla items now have their own custom Hand Object courtesy of this mod. Edit: Mod Review is available on Youtube to see in game footage! do you plan corpes to ? do actually we need to carry on corpes in hands ? Really good question. I didn't plan for corpses as hand objects. I don't feel like its a necessary piece at this point. I would welcome the efforts of someone else to create a Corpses Hand Objects mod, though. Quite frankly, I think this is one of the mods that deserves to be in the main package. 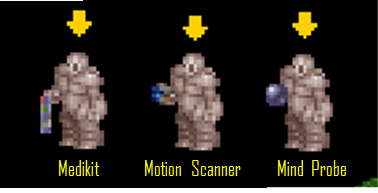 It could be activated/de-activated with the improved character sprites options (i.e non-aryan mod). Also do you think you can make the stun rod similar to the one on TFTD, i.e, a one handed sprite? Thanks for the vote of confidence. I'll see about putting together a Pull Request and SupSuper and Warboy can decide if they want it in the package. It not really all that different that the UFOextender or XCOM Util mods in the package. As far as the one handed stunrod.... I don't plan to include it in this package as vanilla already has a hand object for it. It would be possible to create an alternate one-handed graphic as a standalone mod, if there was significant interest. I tried to make a corpse handob for the X-com suit some time ago. Feel free to use it. 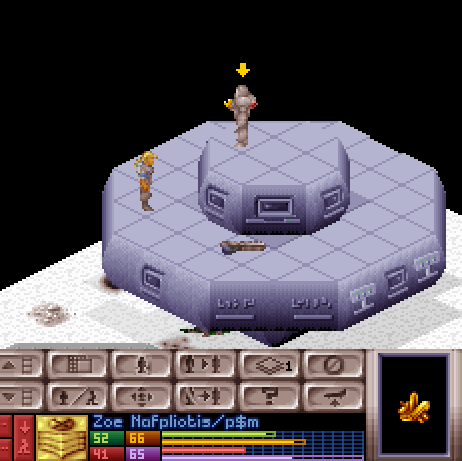 For correct positioning in the battlescape you have to make corpses a 'two-handed' object in the ruleset. I chatted with SupSuper, and he declined pulling it into the package. Mainly because it transfers support of mods like this over to the Dev team, who have other things to do. Therefore, this will continue to be a stand alone mod. I guess after TFTD is done you can try again. Let's have it the way it is then. Regarding corpses, I would prefer a mod for adding weapons to those would remain separate. I have a suggestion: an errors correction mod. No rebalancing or added stuff. Only vanilla corrections. it make more sense to a nuclear warhead to take more time to be delivered then some cannon magazines! I sincerely think this was an overlook in the original game. Tell me if you are interested, cause I wanted to do it myself, but I think your wonderful little mod is the bigger piece. Maybe, if you or someone other is interested, this should go in a new post. Sorry for the distraction. Love your mod (oh, I already wrote this ). Thanks a ton for the feedback, Mono!! Those are a ton of great ideas!! At this point, I think the Hand Objects mod should probably stay as it is, but I do encourage a mod that pulls the error fixes that you have mentioned together. Some of the errors may have already been addressed in the nightlies. That said, you, or anyone else for that matter, are welcome to incorporate any pieces of this mod that you would like into it! Full permission to use this mod is granted to anyone as they see fit. 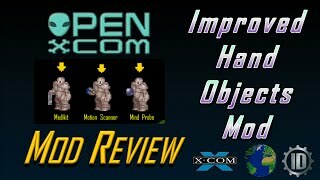 Mod Review is available on Youtube to see in game footage! Updated mod to 1.1 Added Elerium Floor and Hand Object graphics to match the Big Object. I'm not going to add this into the actual mod, because it isn't a vanilla item. But I will post this here for anyone else that wants to use it.